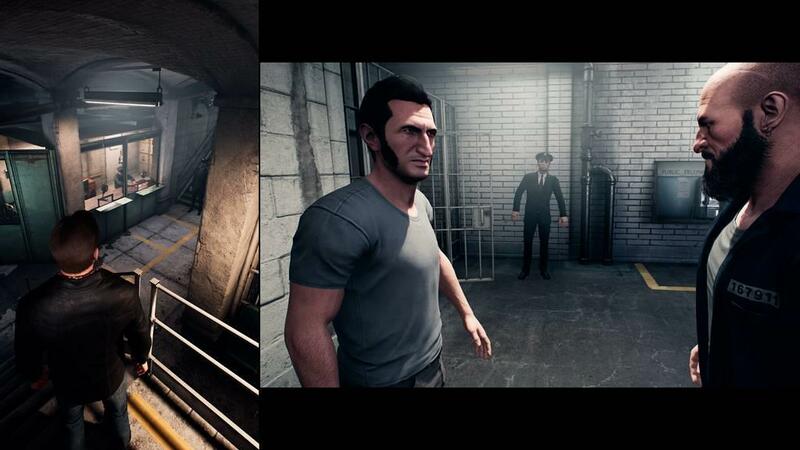 The premise of A Way Out is simple enough: you and a friend (or some random person, you do you) take control of characters Leo and Vincent, two men approaching middle age who have had the bad luck to be sent to prison. The catch is, neither of them did the crime they were sent to prison for, and they were both framed by the same guy. 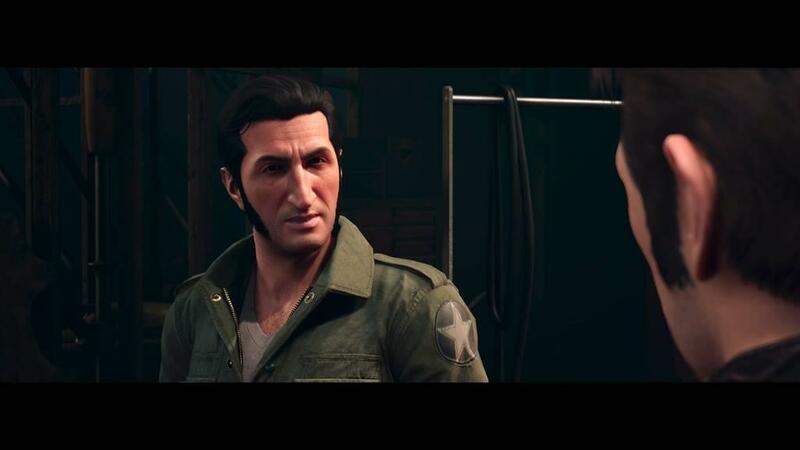 Thus begins a caper that takes inspiration from films like Oldboy, Bullitt, and others to create an experience that feels both fresh and nostalgic, filling out its own niche in the gaming medium. I played this game entirely using local multiplayer, so I wasn’t able to include the online portion of its multiplayer component for this review. But I don’t think that really matters so much, in the long run. I realized that, besides a few rounds of Mario Party and Melee that I’ll get in at a friend’s apartment, or bouts in older titles I and some other friends can get through at an arcade bar, there are few times in this gaming era that I can truly enjoy my time with another person, getting things done on a console or PC. Of course, we still have terrific party games, or games that work in quick succession, like Strikers Edge, but the only serious longform engagement I can think of (not counting the Lego series of games) is the original Halo trilogy. That is how far this game takes me back, first speaking in terms of nostalgia. 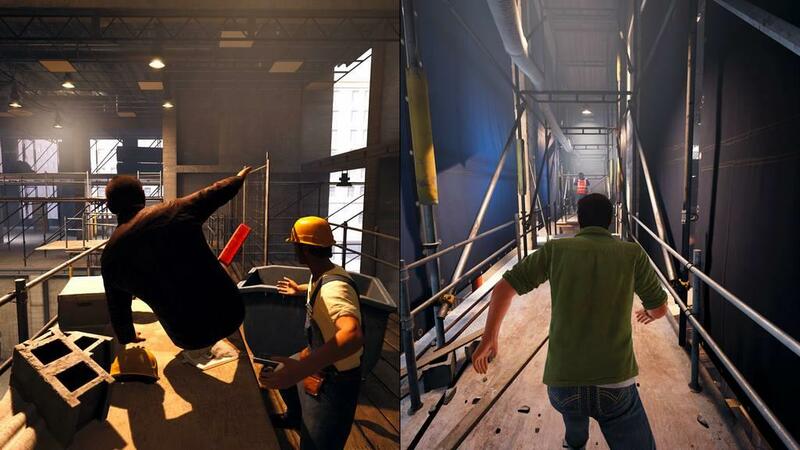 But A Way Out differs hugely from other games’ co-op modes in that it takes its cooperativity to the next level. You see, whereas other games, such as Army of Two, or even the Zombies Mode from Call of Duty, has players working together to achieve a goal, they can often work independently of each other to do that. Yes, if one player is incapacitated, they need the other to help them recover, but other than, say, one player covering their buddy while that buddy goes for a flanking attack, games that have a co-op feature don’t nearly go so far as A Way Out does. And the reason for that, one might ask? Well, it’s that it is a requirement for two human players to take control of main characters Vincent and Leo on their quest for vengeance. At first, this requirement seemed silly to me. Having to wait around for a friend with a decent enough schedule to help me play this and get a review in on time put me under a bit of pressure, but thankfully I was able to find one (thanks Corinne, you’re the best). Playing through the game, however, it’s clear that the developers have poured a lot into ensuring that it is an absolute must that the players work together throughout the experience. 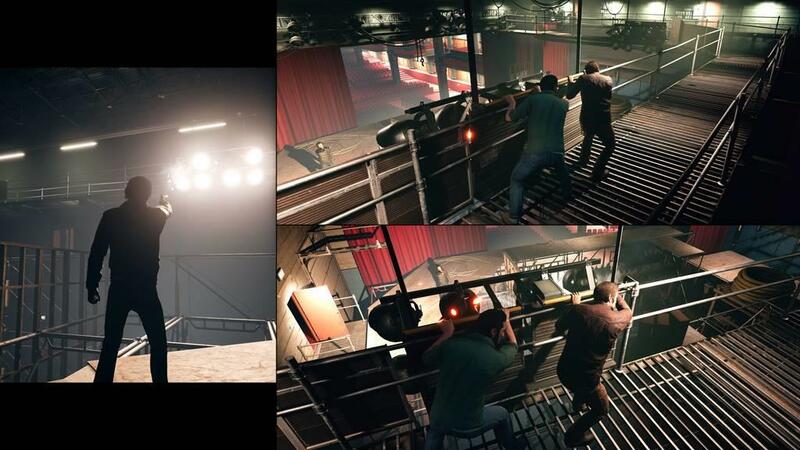 From boosting each other up, to shining a light in dark areas, to link up in midair over slightly dramatic set pieces. 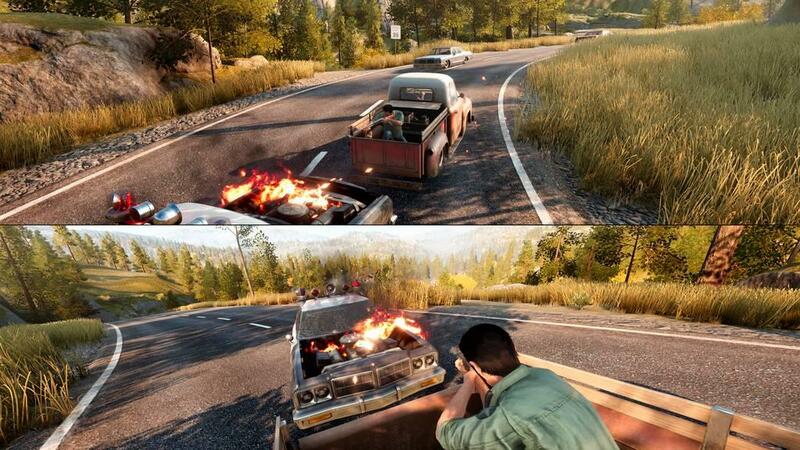 Very little surprises me when it comes to new games attempting to fill out their own niche. They either work, or they don’t, very seldom is there a middle ground. 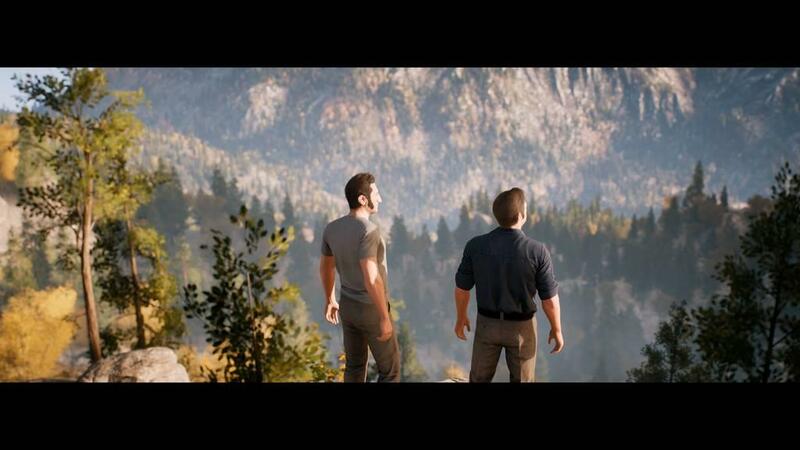 But I am ecstatic in reporting that A Way Out finds its niche, and makes it work. Provided that both players can coordinate each other’s actions, help each other out when they need to, and recover quick enough to try again should they fail, the game goes by fast, and keeps its momentum throughout the experience. A couple gameplay highlights come to mind, and a mild spoiler warning here, but I won’t delve too much into the context surrounding the events. 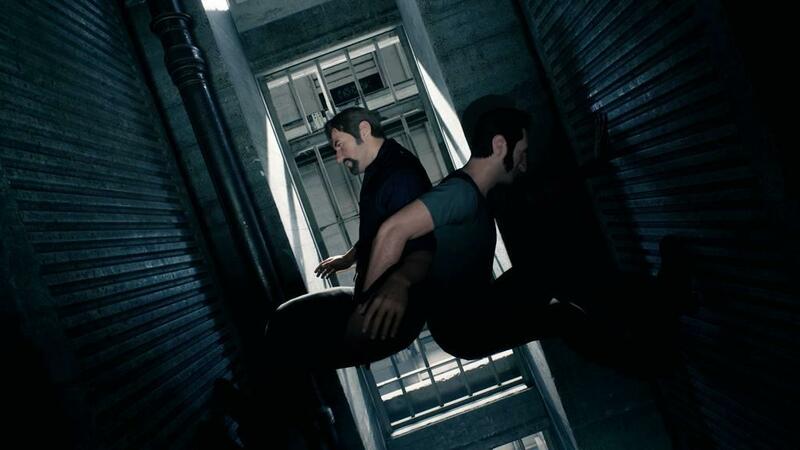 The first gameplay activity where my friend and I truly needed to work together had us moving back to back up a utility shaft. It involved timing a button push at the exact moment so we could both move up the shaft in a timely manner. We failed twice before we finally achieved our goal, and it involved making sure that each the other was able to get a good grip on the walls. Another section saw us both controlling a wooden rowboat as it careened down a raging river. We would constantly switch sides, trying the best method of steadying the craft and not getting destroyed on our way down. Thankfully, we didn’t and were able to complete it on our first try (always a triumph). The action of A Way Out works this way often, but not always. The very first bout of combat in the game is a quick time event, and in the midst of it, I was worried that the entire game would be like this, but those concerns quickly gave way as my friend and I quickly pummeled our opponents in one of the game’s many adrenaline-fueled action sequences. The varieties in which these action sequences come are myriad. 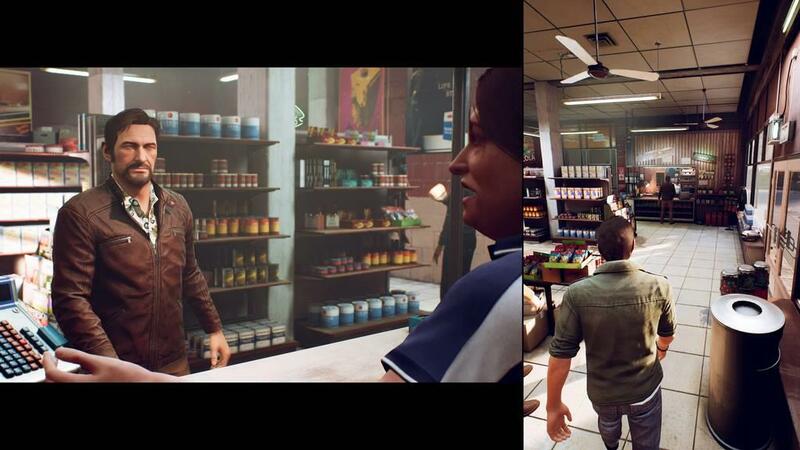 There are foot chases, car chases, more free form fist fights (with one being coming straight out of Oldboy), gun fights, some of which have the players working together, others in which the players are apart, but reaching towards the same goal. One of the most heart-poundingly tense is a part late in the game, where the players are separated, and in the local co-op mode, there were many times when it was actually just one player on the screen, going through their character’s sequence. Speaking of characters, it’s the one aspect of the game that I have yet to touch upon. 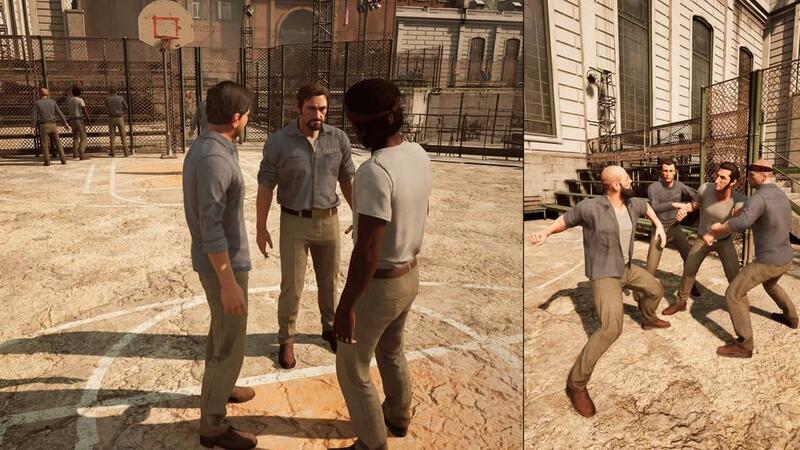 A Way Out has the gameplay nailed down about 100% of the way, and gratefully the developers don’t forget about the other half. I’d categorize the story and characters as almost standard. Leo and Vincent are two down-and-out guys who got caught in the wrong place at the wrong time, and are now on a path of revenge. They each have their own families, their own troubles, and their own way of doing things. Most of this is shown, and as a result, players get a clear picture of the protagonists. By most, however, I mean only half. Leo is by far the better-characterized of the two, with us being shown his family life, and players having to actually play the game to help him repair certain relationships. With Vincent, we are told his relationship to the antagonist, and this lack of showing that we get with Vincent doesn’t make care a whole lot about his character, at least for most of the game. Towards the end, things are shaken up in his favor, and we finally get to empathize with him, but although the sequence where that does happen is quite riveting, it doesn’t make up for the past mishaps. 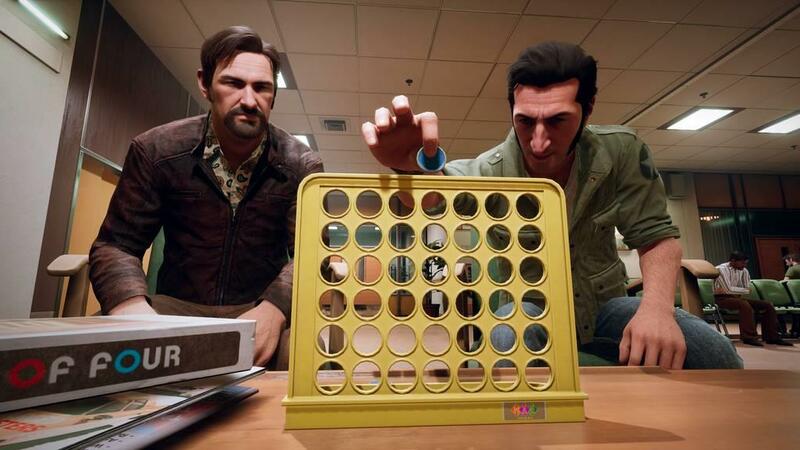 By the end of the ride, A Way Out throws players through a variety of gameplay options that keeps that experience from getting stale. With writing that, for the most parts, redeems these cliché 70s criminal archetypes, I was able to empathize with their struggles. This game is a surprise, especially given the publisher, and I have to say, I think that risks like these, given the right amount of work and talent behind it, are the ones worth going for. It is a truly welcome gem in the medium that takes risks and propels the experience with new energy nearly every step of the way. The player constantly moves forward and the game gets tension done in a way seldom seen in gaming. 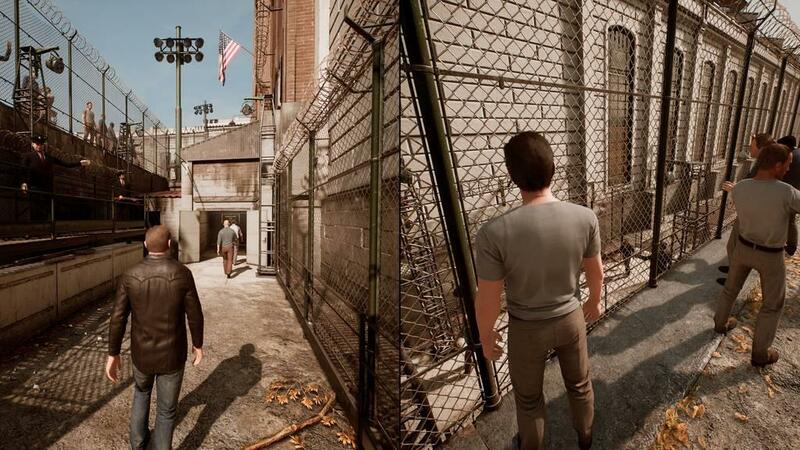 A Way Out is an example of a triumph in new ideas, while using traditional methods of gameplay to get the point across that this is a different beast.